Synopsis: An ingenue insinuates herself into the company of an established but aging stage actress and her circle of theater friends. Did You Know? This was the first film to earn a record 14 Academy Award nominations. So far no film has surpassed it, but one film equaled it, 47 years later: Titanic. Quotables: MR. DEWITT: The distinguished-looking gentleman is an extremely old actor. Being an actor, he will go on speaking for some time. It is not important that you hear what he says. 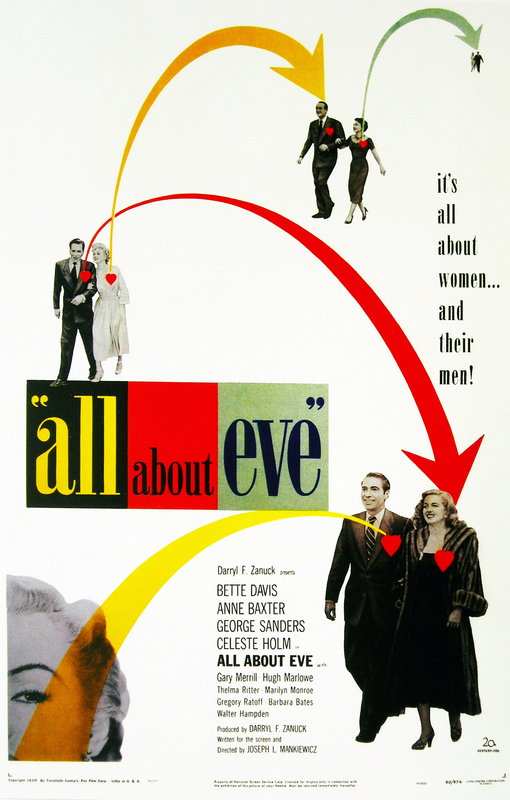 I love All About Eve. Bette Davis is superb. George Sanders is sublime. Anne Baxter, Celeste Holm, Thelma Ritter, and Marilyn Monroe are magnificent. Everything about this film is perfection. Simply put, it’s one of my favourites.